Tengo una yegua de venta en $2,250. La Ando vendiendo con albarda y freno. La yegua es bien mansita, hasta los niños chikitos la montan solos. Tiene 8 años y los ultimo a tres años se la paso de escaramuza en el equipo de las monarcas. La yegua tiene los coggins al corriente pero no tiene rejistro. Tiene sangre quarto de milla y es bien docil. Por mas informes Mande E-mail y le respondo lo mas rapido possible. Hola, Estoy buscando una Albarda nueva o usada! Si me podran mandar mensaje con informacion en donde podre conseguir una gracias. Preferible size 16 o 17. Si me pueden cuando va ser el seminario este ano de 2014 porfavor. Me gustaria saber para resevar mi hotel con tiempo ? Busco un equipo de escaramuza en la area de fort worth . 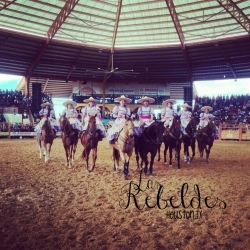 The Veterinarian will be at El Bajio on February 23, 2014 at 1 pm for coggings test. You can also get other shots for your horses done that day, but you must let us know a week before so he can bring the medication. Se busca 3 albardas en buenas condiciones. Si alguien tiene para vender, se puede comunicar Dulce Barron al (512) 674-1614. Can't Wait For Another Year Of Escaramuza! Hola. Alguien nos puede dar datos de alguien que hace vestidos de escaramuza? cuanto va costar para federal ? For those who want to ride in the Stock Show parade on February 1, Arnulfo Duran has the necessary passes and releases. If you want to ride you need to get in touch with him as soon as possible. His phone number is 210-364-9989. Remember you need to dress charro and charra. We will be getting a date for the Coggins test. You need that for transporting horses and the Battle of Fowers Parade. Yes Cristina, World Series will be in Fort Worth, all teams are invited, inscription is open till April 1st the cost is 1000.00 more information will be post. ATTENTION LADIES! 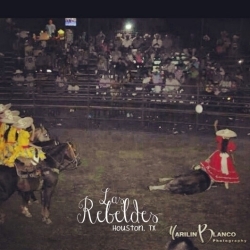 Escaramuza charra Las Rebeldes de Houston, Tx are looking for new riders in the Houston/Waller area who are looking to be apart of a team. 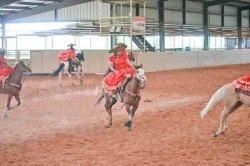 We are constantly performing at events and practice a lot, therefore we are looking for ladies with a willingness to ride and commit themselves to the team. We require you to have a horse being that little can be done on an equestrian team with no horse. We prefer experienced riders, however we do have a trainer so experience is not required. If you are interested or have any questions please call/text 832 334 8253 or 281 866 4225. ATTENCION DAMAS ESCARAMUZERAS: Escaramuza Charra Las Rebeldes de Houston,Tx buscan integrantes nuevas en el Houston y Waller area que quieran ser parte de un equipo .Este equipo tiene muchas presentaciones y practicamos mucho asi que por favor mujeres de buen caraccter que sean responsables y cumplan con sus compromisos. Obligatorio tener caballo! Seria preferible que tengan experiencia de montar. Interesadas por favor de llamar a 832 334 8253 o 281 866 4225. Solo trae tu caballo y vente lista a echarle muchas ganas!! Hello! 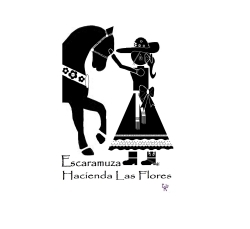 We are Escaramuza Charra Las Coronitas, we used to go by Las Adelitas but we changed the name. We are looking for girls in and around the Lubbock and Plainview, TX areas for girls who are interested in riding this year. We will not be competing yet but we will be presenting at coleaderos in the Panhandle area. We are trying to spread the word about escaramuza in this area since not a lot of people know what it is. We are looking for girls of all ages and must have a horse. 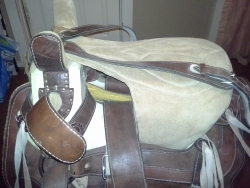 You must know how to ride and handle a horse. 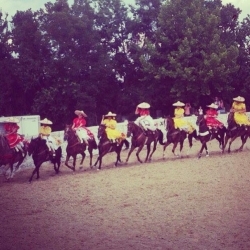 You do not have to be experienced in riding in escaramuza. Just be willing to actually come to practices and events! Thank you!